Here is the next installment of our favorite pattern series. 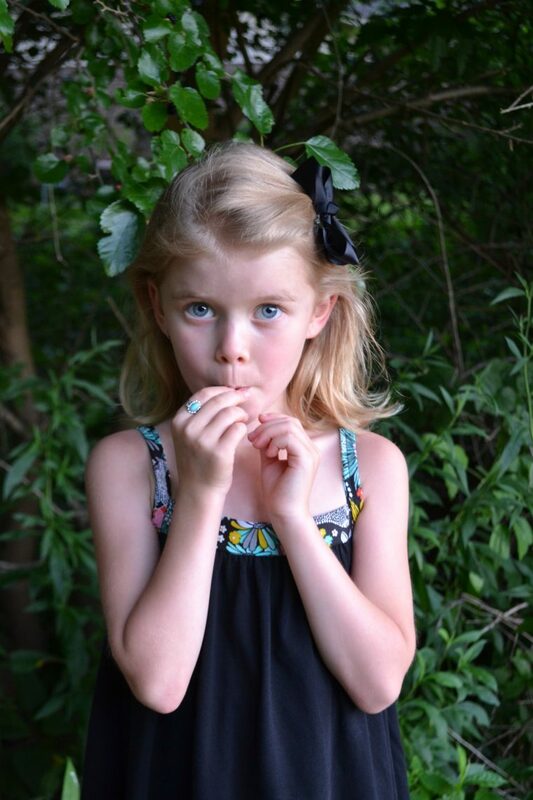 It’s where we ask Oliver + S fans to share a bit about their favorite pattern. Today we have Michelle. Thanks so much for being here Michelle! Hi there! 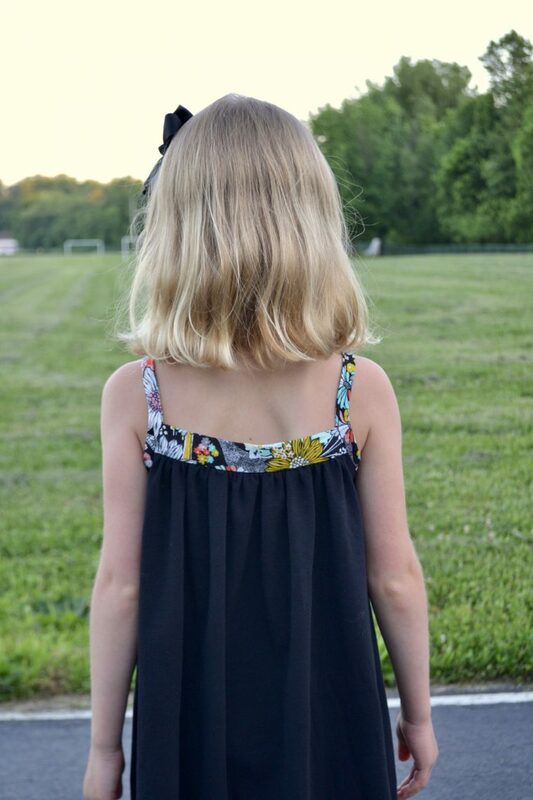 I’m Michelle from @handmademartini, and I’m thrilled to share with you my favorite Oliver + S pattern! 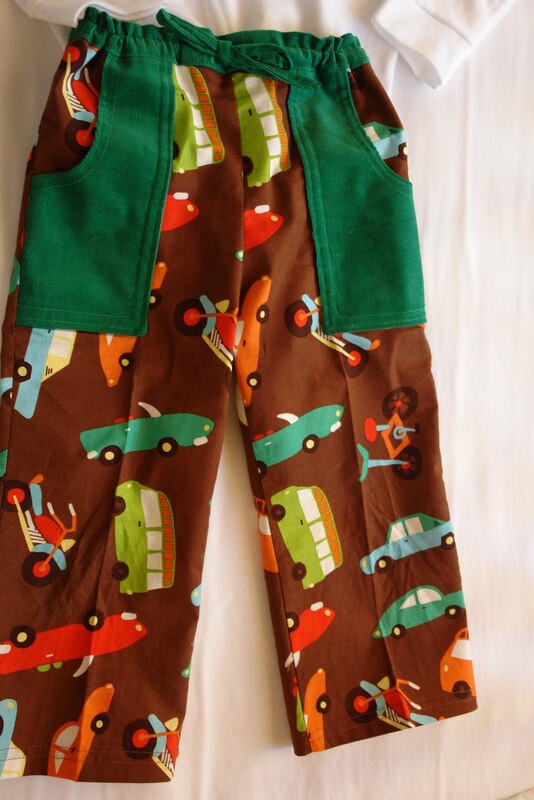 I first discovered Oliver + S patterns in 2010 when we lived in Asheville and my favorite fabric shop in Biltmore Village sold them. (These were pre-PDF days!) The shop has since closed unfortunately, but their beautiful samples combined with the Oliver + S adorable packaging inspired me to try sewing their Sandbox Pants for my oldest son, who was three at the time. It was my first time using an independent clothing pattern! I used a designer cotton (“Wheels” by Riley Blake ca. 2009) from that same little fabric shop and felt so accomplished when the project was complete. 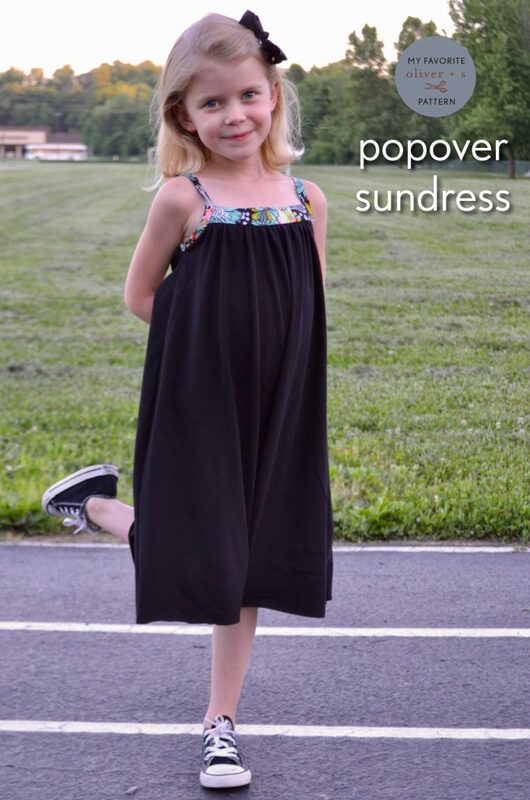 As adorable as the Sandbox Pants are, it’s the Popover Sundress, one of the Oliver + S free patterns, that’s my favorite. It’s the first pattern I successfully “flipped” and made my own! 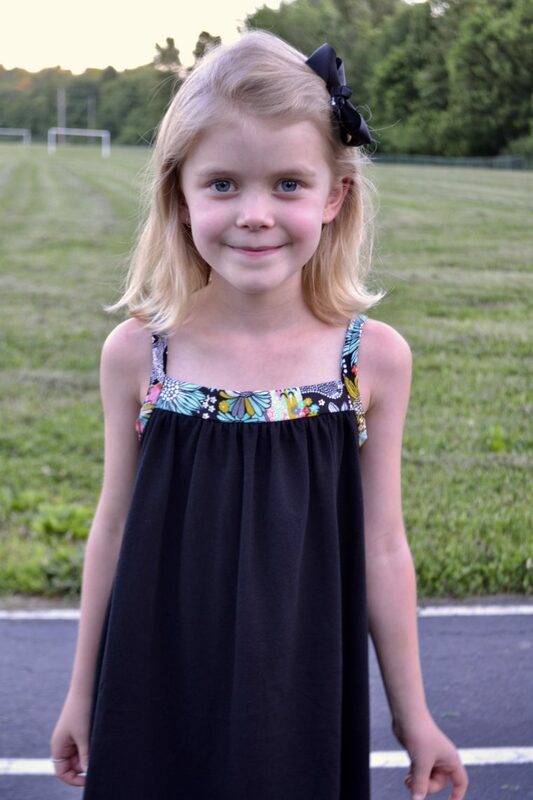 The first time I used it was to make a tunic to practice for the Project Run and Play sew-along. My grandmother had given me tons of flour sack fabric which I used, and I added a ruffle sleeve and lined the whole thing. I repeated that iteration once again for Project Run and Play, this time adding the ruffle sleeve and making the top reversible. There’s a whole tutorial I made for how to make the modifications here on my blog here. Let me tell you. Digging up these old photos of my kids had me tearing up! They grow so quickly, and because I’ve been sewing for them since the beginning, I can mark periods of their growth by the outfits I’ve made! 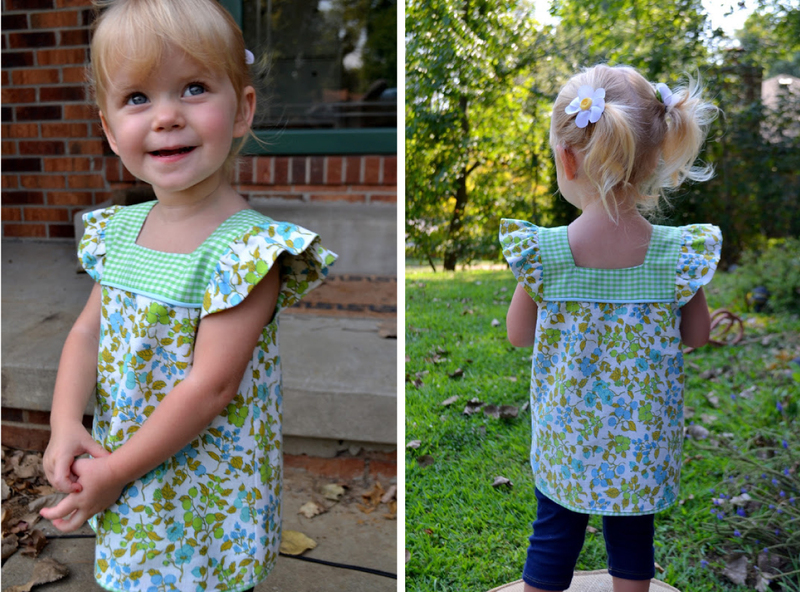 My favorite version of my favorite Oliver + S pattern was the smocked version I made for a blogger’s challenge. We received fabric from another sewist, and we were charged with making something from the fabric. 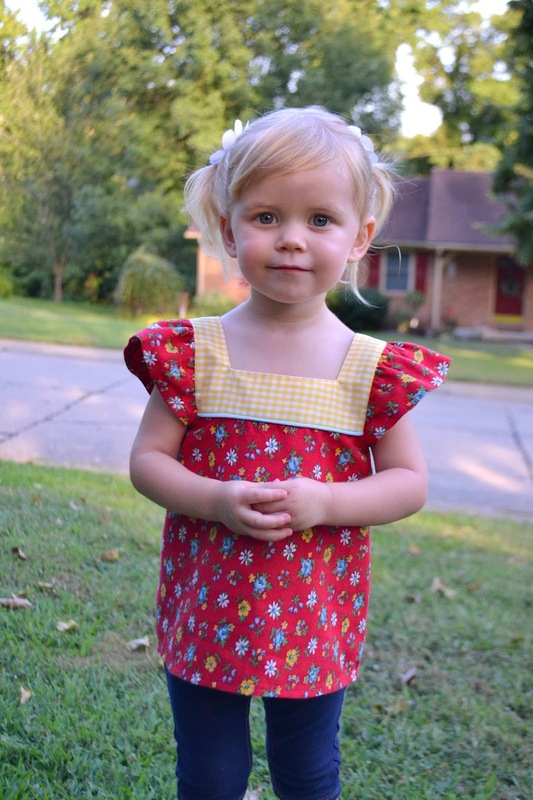 I chose to make a voluminous smocked tunic from the Popover Sundress pattern. It was a relatively easy modification: I morphed the yoke and dress piece together and added 14″ to the center. Everything else stayed the same. My latest creation using this pattern is a combination woven/knit version. I changed it up this time by adding volume to the center fold of the dress piece, gathering it, and using fixed bias tape at the shoulders instead of the ties. The combination of knit dress and woven bodice works will with this pattern! My daughter Eliza has a very defined style; she likes comfort, especially knits, and things she can run and play (and pick mulberries) in. Her favorite colors are blue and black for clothes. I love how this pattern allows me to add a pop of color without sacrificing a large amount of fabric. I’ve made other versions that don’t have photos! This pattern is perfect for those little Liberty of London scraps as the bodice doesn’t take much fabric at all. And it sews up so quickly. As you can see, it’s easy to modify! I’m sure there will be many more in my future. 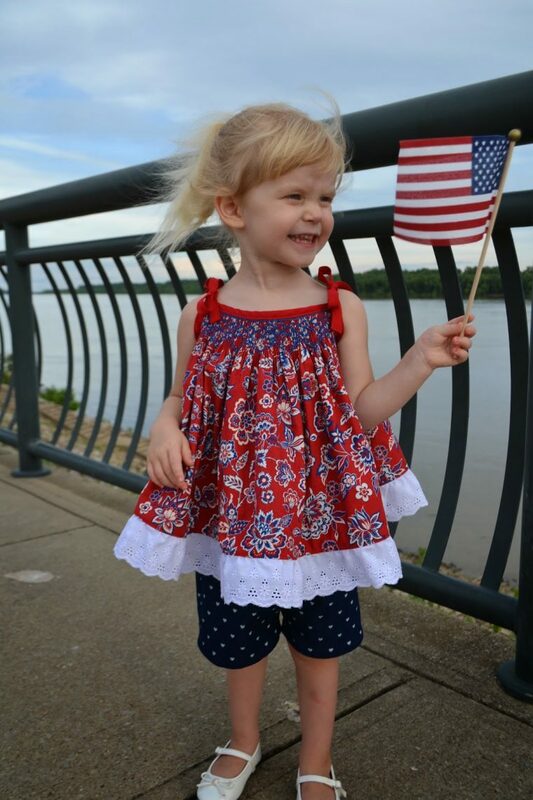 You can view all of our posts on the Popover Sundress here. Love your variations–especially the smocked version of the popover sundress. Beautiful work, thank you for sharing! 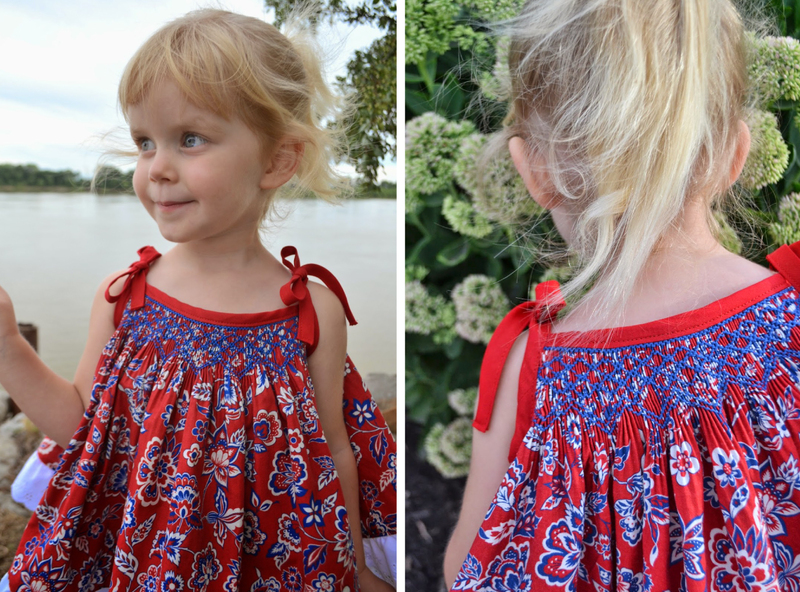 Love all your versions of this pattern, especially the smocked version!